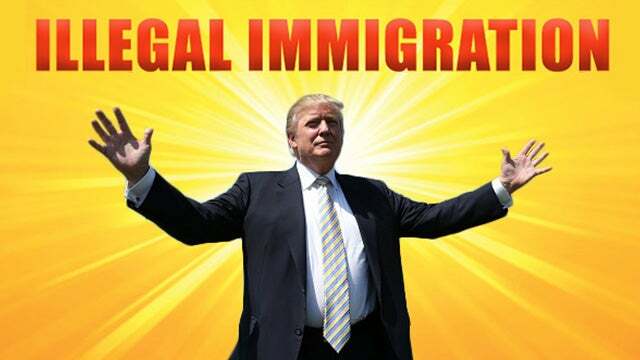 THE PRESIDENT: We’ll bring the illegal — really, you call them the illegals. 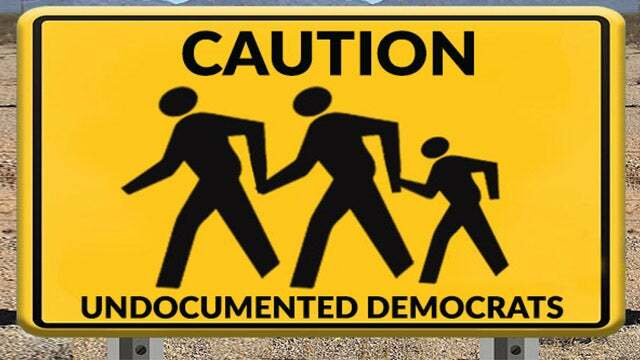 I call them the illegals. They came across the border illegally. We’ll bring them to sanctuary city areas and let that particular area take care of it, whether it’s a state or whatever it might be. California certainly is always saying, Oh, we want more people. And they want more people in their sanctuary cities. Well, we’ll give them more people. We can give them a lot. We can give them an unlimited supply. And let’s see if they’re so happy. They say, We have open arms. They’re always saying they have open arms. Let’s see if they have open arms. I’m not talking about strategic brilliance. Don’t misunderstand. This is not idolatry. I’m just telling you, I think its the way the man thinks. For example, I think the objective here is not really to put illegal immigrants in sanctuary cities. Trump wants to deport them. Trump wants to stop them from coming in. If blue state sanctuary city voters demand change, Democrats will respond or sink further into the abyss. We have a problem. Everybody knows it. The trick is to get the other side to demand a solution. 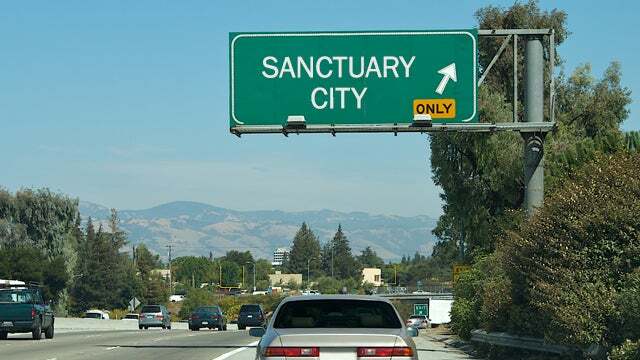 So here comes Trump, Hey, you know what, great idea let’s bring the illegals in and let’s take ’em to these sanctuary cities. And the people there are saying they don’t want them. You heard him just say here: Well give them more people, they want more people, they want more people, sanctuary cities. We can give ’em a lot. We can give an unlimited supply. And let’s see if they’re happy. They see we have open arms. They’re always saying they have open arms. Let’s see if they have open arms. This all came up on Fox & Friends Weekend where they happen to love my take on all of this from last Friday. RUSH ARCHIVE: What a great idea! They say they love them, they say they want them, theyve got their borders open, so send them there. Why, I thought thisd be a win-win. I thought the sanctuary cities would welcome them. Isnt that the way this is supposed to work? On the one hand, we have people like Pelosi and the liberal Democrats who set up sanctuary cities to shield these people from the evil Republicans and conservatives who want to deport them, right? How can something that they support and want and eagerly ask for be targeting them? Why, it must mean that the sanctuary cities are not really what they tell us that they are, that they dont really want these people. But we know thats not true; they do. RUSH: It most certainly is. But it’s actually so much more than that. And there’s so much news coverage of this. Yahoo News: Trump Confirms Possible Plan to Send Immigrants to Sanctuary Cities, Contradicting White House Denials. (laughing) So the White House, “No! No! We’re not gonna do it, we’re just thinking about it. Trump says, the hell we are. We’re seriously thinking about it. “The term sanctuary city refers to localities where officials generally do not inform federal immigrant agencies about undocumented immigrants who come to their attention. The intent is humanitarian and also to encourage immigrants to cooperate with police and other government agencies without fear or deportation. That is nonsense. Hate to inform them but the camel is already in the tent - along with its kids and relatives and their kids. The rules for radicals have been used BY the left against the right (and this country) for decades. The right has taken a knee nearly every time. Not this time. Love him or hate him, but Trump will never take a knee. Better yet, he will do-unto-others as has been done to him. Not his biggest fan, but I love this. Who the heck are you a fan of? Mitch McConnell? The Bushes? Just who? Why would you not like the most conservative President to date? Even our great president Reagan gave in on some points. nothing brings attention to bad policy as putting it into effect. Trump is brilliant. He got them to close the door to illegals! All from just a tweet! Most come here with NOTHING but their children. Just one “mother” and her child(ren) with extended family is a lifetime of incredible cost to the taxpayer and burdens the system to the breaking point. Multiply that by tens of thousands. Blacks should be burning down their plantations because the left takes them for granted and they are knocked off the their rung on the social/grievance/welfare ladder. Trump should say forthrightly,”They’re YOUR voters, now take them!. WHEN WE ENTER THEIRS LEGALLY TO VISIT OR RETIRE ??? In the hundreds of postings here in Free Republic rarely is this brought up. Its Known As Reciprocity. We should be treating anybody illegally crossing the Mexican border into the US the way the Mexican’s do treat any American illegally doing the same.crossing into Mexico. Entry denied fined and possible imprisonment. It’s time we consider illegal entry by any person who is a non Mexican citizen illegally entering the United States through the US Mexican border a defacto Mexican citizen with limited Mexican constitutional rights subject to their laws while transiting. As well as any Mexican citizen entering illegally exempting those who do so legally and meet US citizenship requirements. Democrats with their open border jingo bingo should not be allowed to allow to pervert the concept of sovereignty get twisted into being propagandized as White Nationalism. Use of that term is usually directed when the immigration issue is brought up to devalue of the protections an American citizen have by being one. When allowing the hordes illegally entering the US through the Mexican border avoid recognizing and dealing with the 2nd class treatment that American citizens get while legally residing in Mexico which not just includes denial of voting privileges but employment, and land ownership in their name. All of which when given to illegals and property ownership by them is used in states which Mexico has previously claimed.that could be used to support any reclaiming effort should regime changes in Mexico arise , Our border with Mexico has always been contentious, those barriers are a must . Today’s so called democrats insist Americans must allow illegals storm in here by the hundreds of thousands despite their cost to us citizens. Claiming benefits are cheap labor which winds up removing PT job opportuities for citizens including teenagers and full time work for blacks. That open door sanctuary policy is suddenly requireing billion$ in tax dollars,which is never enough. Tax money that should be going to our citizens for their sustenance,health,education,and housing even infrastructure are being diverted to illegal’s needs. But Americans must do the tax flagellating punishment because we’re the very rich United States and must divert those billion$ to fill the needs of those poor illegals plus give them the right to vote. Sustained by our tax money which our children’s children if not aborted will be paying for. What never gets mentioned in all of this is the lacking reciprocal treatment. If we applied that policy . Would this continue ? Obama was dumping ME refugees off around the Country in places of his choosing, regardless of the local’s wishes. Why can’t Pres. Trump? Trump isn’t suggesting anything that hasn’t already been done, in the dark of night, without even notifying mayors, by Zero. Little towns and big, waking to find their population has been increased by 1,000. How soon the Dems forget. And I will vote Trump again. His SCOTUS nominees have been excellent. The economy and the unemployment rate are surreal. Every Lib I know has trump-derangement syndrome. He is exactly what DC needs...but Trump is like chemo. His insane tweets and attacks on a dead senator HARM his chances at winning re-election. Sending illegals to sanctuary cities? Awesome... but where is the promised WALL?!?! I don’t want Trump to just win in 2020.... I want a F’n landslide that completely destroys the liberals. If he reins in his ego and filters his tweets, that becomes a real possibility. Muchas Gracious, El Presidente Trump! PLEASE MAKE YOUR DONATION TODAY, TOMORROW, LIKE YESTERDAY!! I dont think this is a good move. Why keep them in the country at all? Put them on buses, and take them back across the dam border. Libtards in these cities will just dump them somewhere else. Why keep them in the country? Not a smart move. I mean it obviously exposed hypocrisy but we all knew it was there anyway, so no surprises. In the meme, change ‘district’ to ‘mansion’ and its even better. Who are you a fan of? Or are you one who holds all in contempt? Has not the support for God, Israel and The Rule of Law and this Country earned your support? Trump will be more loved than all presidents with only the exception of thosr first founders and Lincoln. Maybe RGBs replacement in Amy Comly Barret could get you to consider liking President Trump. You need to read “The America We Deserve” to see and understand his Presidency in motion written 18 years ago and understand Trump’s position on governance is still the same incorruptible goodness this Nation Deserves.